I love mass transit. I’m a transit junkie. Figuring out bus and train schedules is like planning a trip to a far away destination but the ticket is infinitely cheaper. I don’t know why I love it, I just do. You become the travel agent. 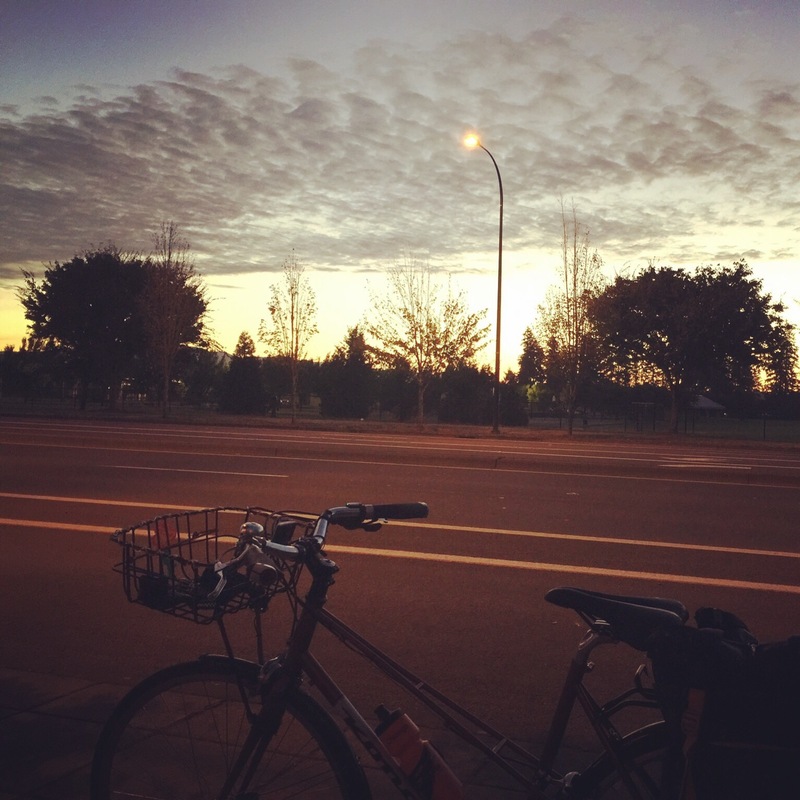 In the mornings I commute by bus and bike and in the afternoon I ride my bike all the way home. It’s what I do and it works for me. Last year I got lazy and didn’t take the bus much opting for my husband’s offer to drive me to work. Then the bus schedules changed this fall. It has been the best change too. At first I was upset since I wasn’t sure how it would work. Now, I love it. My bus goes farther east which means I only have to ride 2 miles in the morning and I’m at school at 6:40 a.m., instead of 6. That extra time has been put to the pillow since I don’t have to get up as early. The bus comes a bit later so I don’t have to wait outside until 5:50. Liberating! The other amazing upgrade this year is my bus. Not that I had much to do with that change, but what a difference it makes to ride a shiny new eco-friendly bus. The first day I was on the new rig I was wearing a dress and it felt like a special occasion. What a difference. Quite a boost to morale to be riding is such a posh carriage. With few other bikes on the bus I feel like I have it all to myself. There are a few other bikers who ride but they get on after me. There was only one day I had to school the guy who was on before me about how to put his bike on the rack closest to the window so others could get their bikes on swiftly. He has since learned his lesson. There was a day last week a young guy got on and he was asking me about my bike. His friend gave him a fixie and he wanted to know where to buy tubes and how to get his new acquisition into shape. I gave him a few tips about patching the tire and taking it to a bike shop to have a mechanic give it a more thorough check up. Since the bus goes a little further in the morning and I don’t have to ride as far, I tend to wear my work clothes and pack whatever bike related knickers I plan to wear home. That was working great for the month of September, so we’ll see what the rains of October bring. I pack my rain pants and it would be easy enough to change if the weather required it. There was another upgrade I made this year, but I’ll save that for my next post. Be safe and seen out there! Right after the bus drops me off.